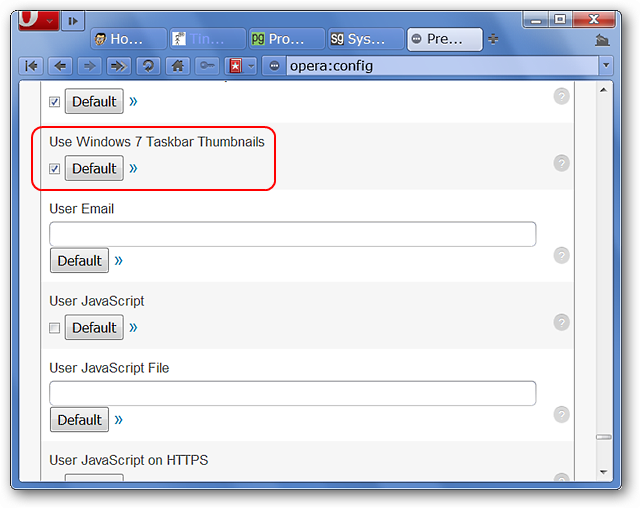 If you are one of the people who does not care for the Taskbar Thumbnail Previews in Windows 7 then we have a quick and easy way for you to turn them off in Opera Browser. Hovering the mouse over the Taskbar Icon gives a nice preview of each tabs content. Looking closer you can see the fanned edge on the Taskbar Icon indicating that there are multiple tabs open. This is all good but what if you just want something simpler? 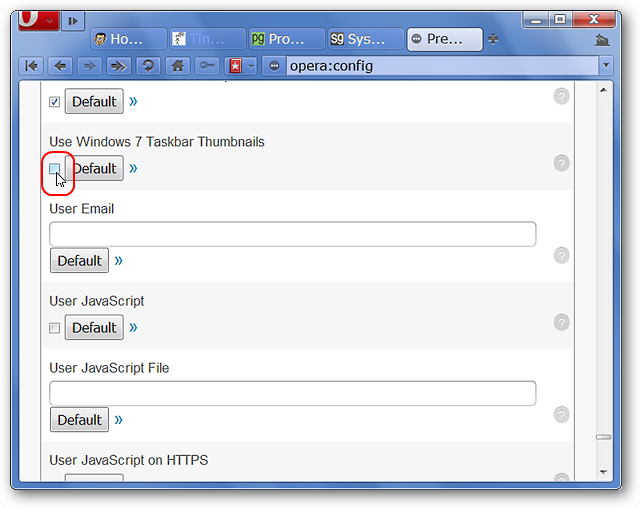 If you want to disable the Taskbar Thumbnail Previews in Opera you will need to type opera:config in the Address Bar and press Enter. 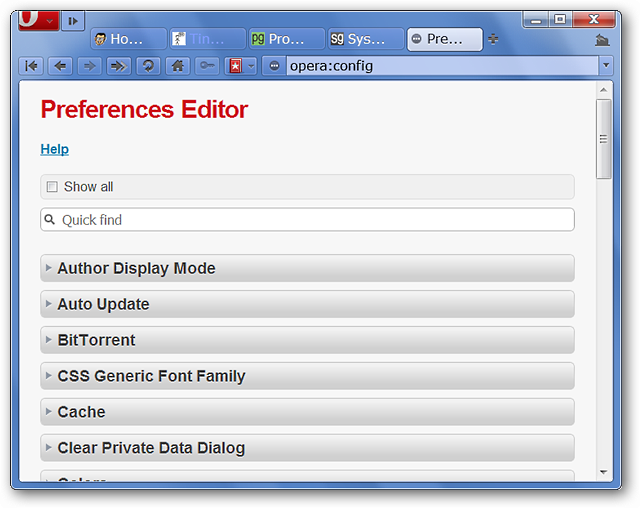 Once you have done that, you will see a condensed listing for all of Opera’s preferences. There is one Preference Category that we need to look for…User Prefs. Note: While a Quick Find Search could be conducted for the entry that needs to be modified, we have chosen to show the full method here. 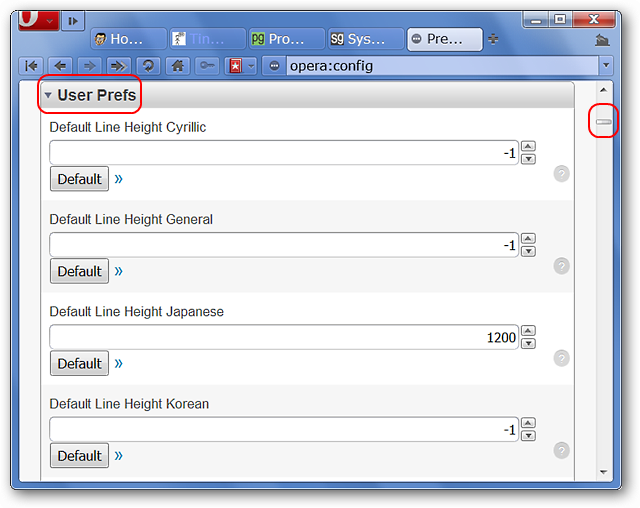 After scrolling down and finding the User Prefs category you will need to expand the section. Notice the size of the scrollbar in comparison with the screenshot above…there is quite a lot that you can look at and finesse in Opera if desired. 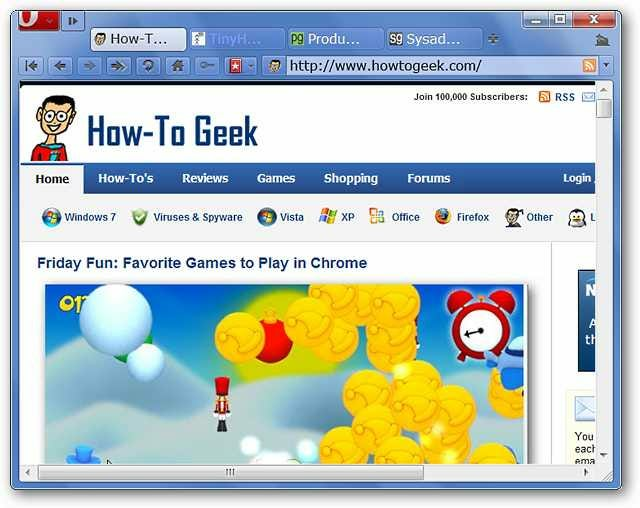 Scroll down until you find the Use Windows 7 Taskbar Thumbnails entry. 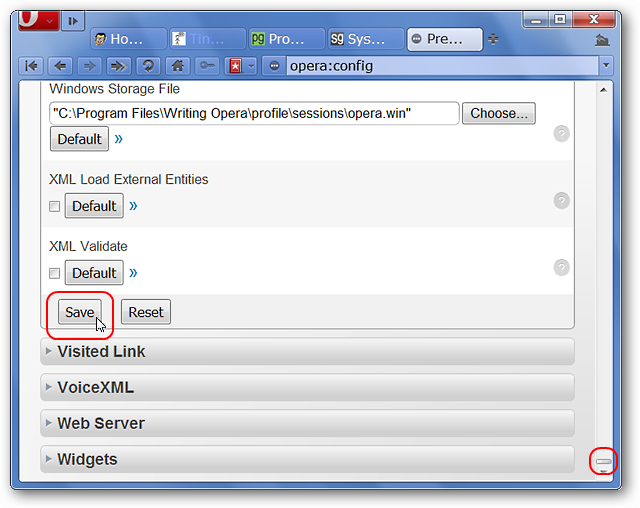 Uncheck the box but do not close the opera:config Tab yet…or your changes will not take effect. Scroll down once more until you reach the end of the User Prefs category and click Save. 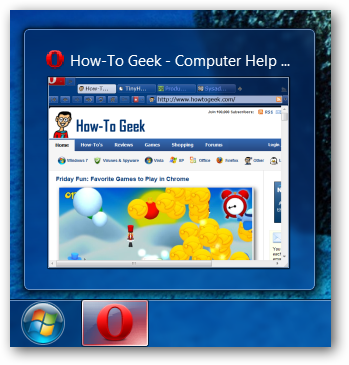 With this particular modification you will need to restart Opera after clicking OK.
After restarting Opera the Taskbar Icon and Taskbar Thumbnail Preview will revert to the minimal Windows 7 default as shown here. You can see Opera’s Tab Bar in the thumbnail and the Taskbar Icon no longer has a “fanned edge”. 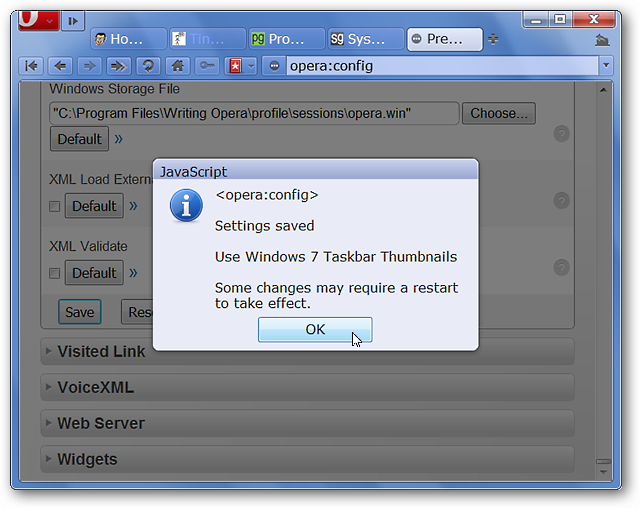 If you want to disable Opera’s Taskbar Thumbnail Previews on your Windows 7 system, then this quick modification will help get it sorted out in just a few moments.